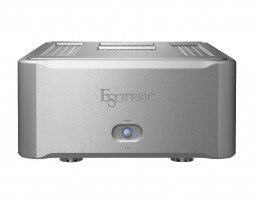 Setting out to create one of the most desirable integrated amplifiers available, Esoteric brought together a fully balanced preamplifier and a Class-A power amplifier-both directly derived from its well-respected Grandioso line-to created a new reference for integrated amplifiers that gives full expression to the smooth, full-bodied tones and delicately shaded textures of your favorite music. 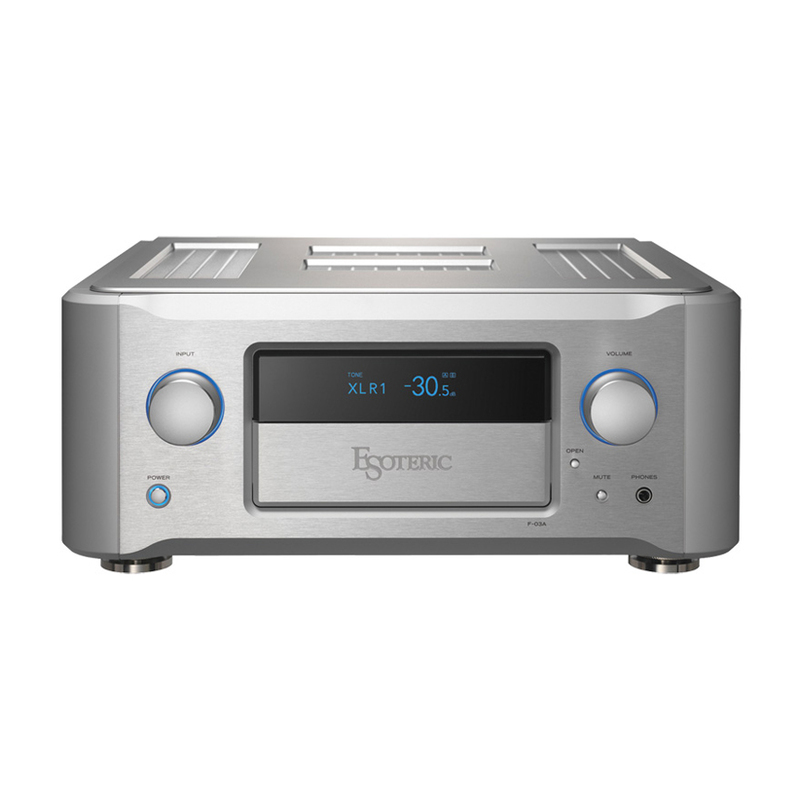 Featuring distinctive dual monaural construction that extends through all stages, from preamplifier inputs through to the final stage of its power amplifier output, the F-03A Integrated Amplifier brings out the full audio potential of Esoteric’s highly regarded K and N Series of digital players. 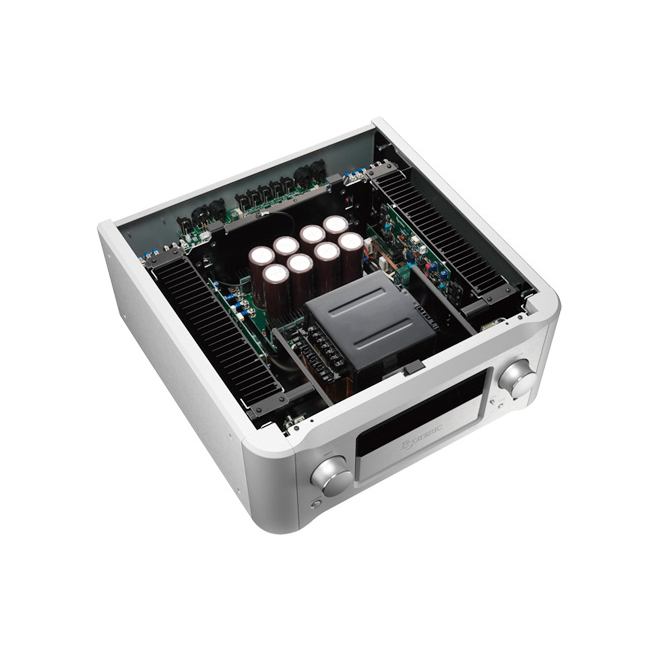 Representing a new generation of integrated amplifiers, Esoteric’s new F Series has been thoroughly invested with proven results gained in the development of our flagship Grandioso line of separate amplifiers. With the goal of capturing all the inherent warmth and texture of music, not only were the outstanding expressive powers of the Grandioso line pursued, the utmost limits of audio performance were also concentrated into an integrated configuration that offers excellent usability combined with an attractiveness that more than compensates for the limitations of their size. Basic and Complete. With sights set on creating a unique presence in the category, the Esoteric F Series is born. 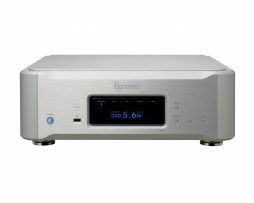 Aspiring to be superior examples of the integrated amplifier format. 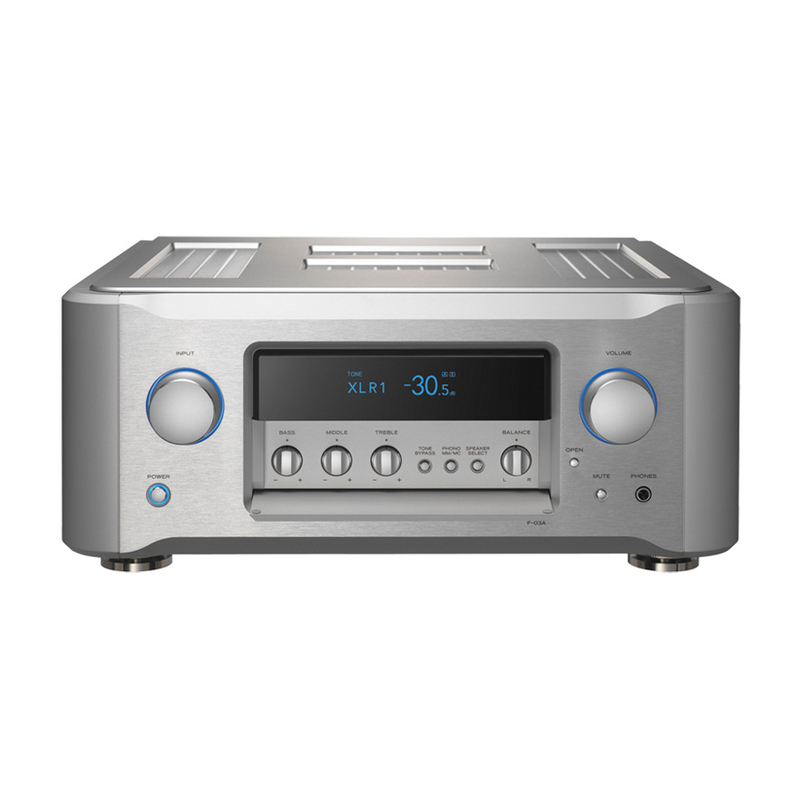 Offering more versatile tone control capability than separates, while bringing out the full potential of the integrated amplifier by providing ample functionality and abundant expandability in its overall refinement. One result of the lavish attention given to the development of the F Series is the preamplifier’s fully balanced configuration, which derives from our highly esteemed C Series preamplifier models. 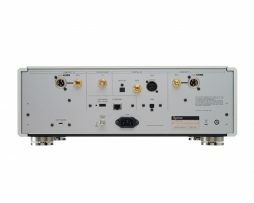 Impervious to noise, it delivers pure and powerful signal amplification at ultra-low impedance. The one design feature of these amplifiers that most clearly reflects Grandioso thinking is their dual monaural configuration, which maintains complete left and right channel independence through all stages, from preamplifier to the power amplifier’s final stage. As Esoteric integrated amplifiers, the major investments made in circuit construction expertise and materials developed over the years yield excellent channel separation and a measure of sound quality that transcends the class. Employing the same high-precision bearing mechanisms used in our Grandioso components, the F Series’ volume control knobs and selector switches provide exceptionally smooth operation with an analog feel free of any mechanical play. Sparing no cost, all panel knobs are also custom-machined from solid aluminum. 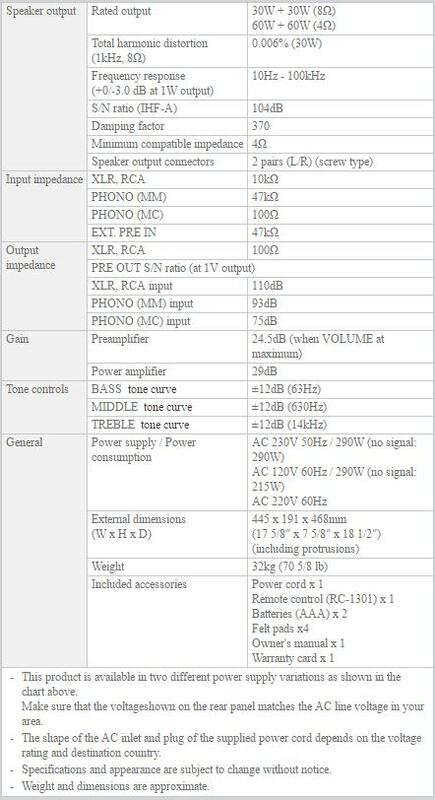 Commitment to achieving all the quality associated with high-end components results in a balanced dual monaural configuration consisting of four circuits (L/R, -/+) for each band. 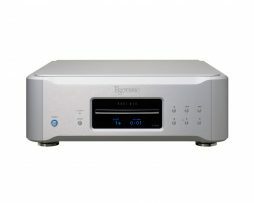 This system enables users to adjust tone settings free of any concerns about sound quality deterioration. Shifting the variable band more than usual toward the high and low frequency ranges (14kHz/63Hz) permits fine adjustment of bass and treble without adversely affecting the original source signal. Fully electronic control also permits fine adjustment of up to ±12dB in 0.5dB steps. The middle band can also be utilized as a loudness preset when set to the minus side and used in conjunction with the Tone Bypass switch. The power amplification section’s front stage is balanced in line with the thinking behind our S Series separate amplifiers. 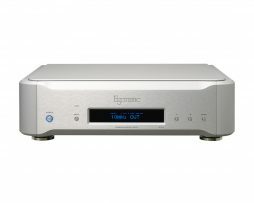 Its low impedance and clean amplification further enhance the dynamic range. 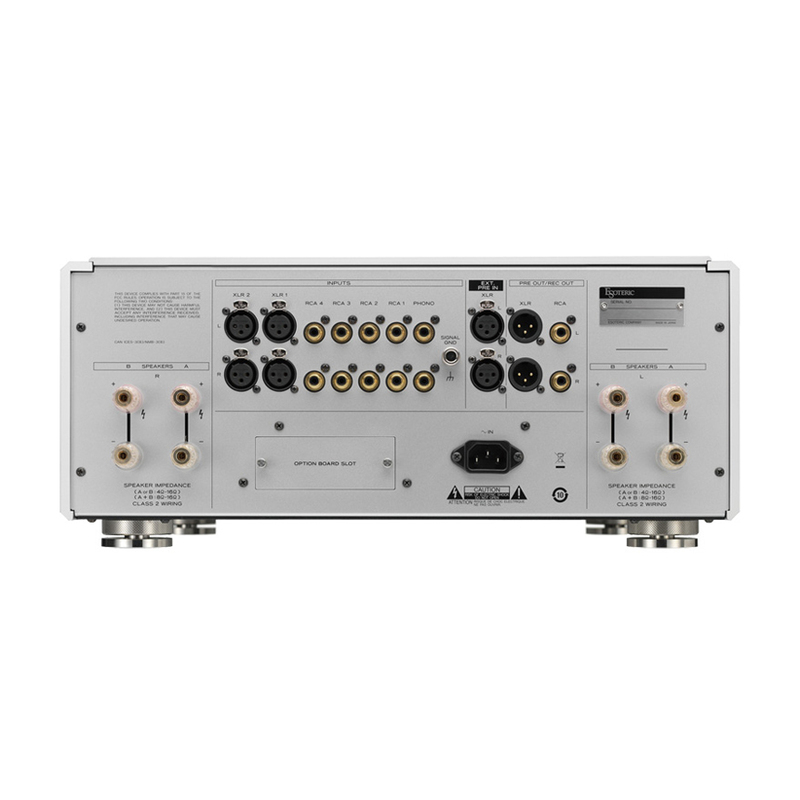 The power supplies of the F Series feature large-core 940VA custom EI power transformers and 40,000µF block capacitors for each channel in a dual monaural configuration. Large-gauge cable is used in all connections to help minimize impedance. As in our separate power amplifiers, this outstanding power section achieves a theoretically linear power output ranging from 30W at an 8Ω load to 60W at 4Ω for faithful reproduction of every musical dynamic. Utilizing eight 1mm-thick bus bars formed of high-purity OFC, the speaker output section employs MOSFET switching with no mechanical contacts. Coils have also been eliminated from the output stage to minimize impedance and enhance drive capability. The preamplifier and power amplifier sections of the F Series boast the same degree of refinement as Esoteric’s separates, and can both be used as standalone devices, or even disabled if not in use. The PRE-out employs a powerful buffer amplifier, while XLR outputs achieve a highly effective fully balanced configuration. 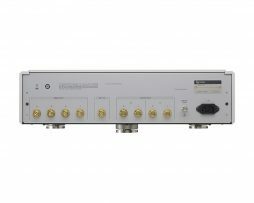 System upgrades can also be performed with no compromises in quality, and a card expansion slot facilitates the installation of an optional (OP-DAC1) D/A Converter Board, which adds full compatibility with 11.2MHz DSD and 384kHz/32-bit PCM signal inputs. Preamp output jacks (XLR & RCA) can be switched between PRE Out and REC Out. Displayed source device names can be remotely programed.